Here’s a must-have accessory for any mobile device user. This compact USB 3.0 hub lets you connect an additional four USB devices to your computer, plus, you can easily fast-charge your mobile device using the hub’s dedicated charge port (DCP). With a 2.4 amp dedicated charge port, the hub makes it fast and easy to charge your smartphone, tablet, and other USB-charged devices, including Android™, Apple, and Samsung™ devices. The charge and data ports work simultaneously, so you can conveniently fast-charge your mobile device while continuing to use your other USB 3.0 peripherals. The dedicated charge port stays on even if the host computer is turned off, in sleep mode, or disconnected entirely. 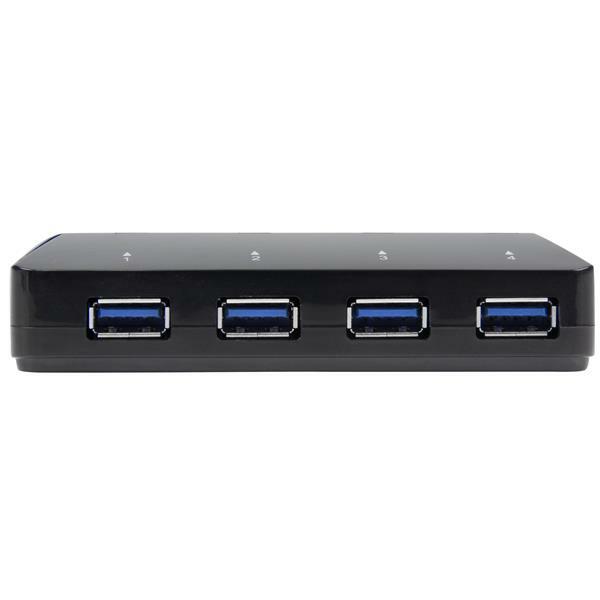 Boost your system capabilities by adding four USB 3.0 ports, and enjoy fast data transfer speeds up to 5Gbps. 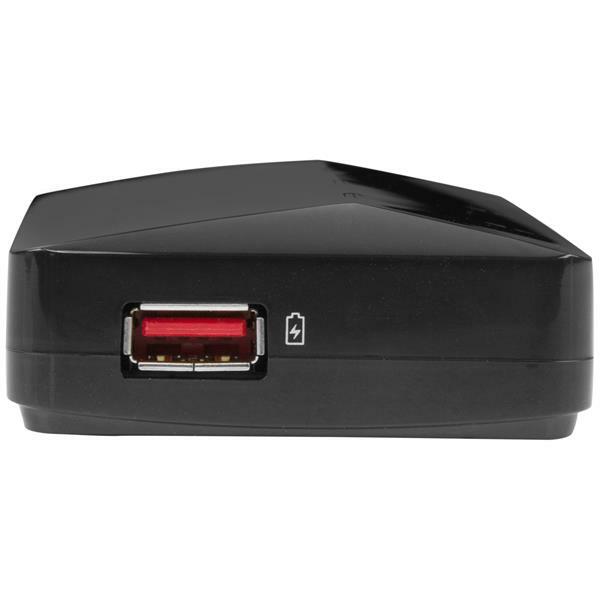 The USB 3.0 (also known as USB 3.1 Gen 1) hub works with your high-bandwidth devices such as external hard drives, high-resolution webcams, flash drives, video cameras, and more. 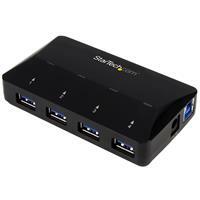 The 4-port USB 3.0 hub features a small footprint that takes up little space on your desktop. 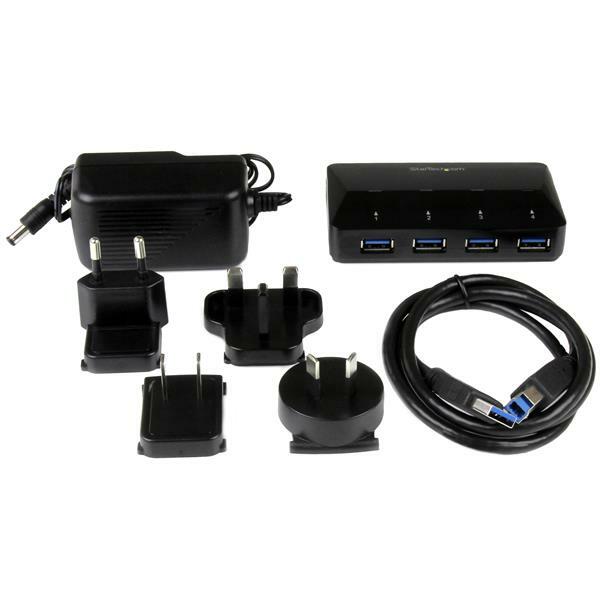 And with ample space between each USB 3.0 port, it’s easy to plug and unplug the devices you use the most. Setup is easy, with no driver installation required, and, for added flexibility the hub is USB-powered or self-powered using the included power adapter. 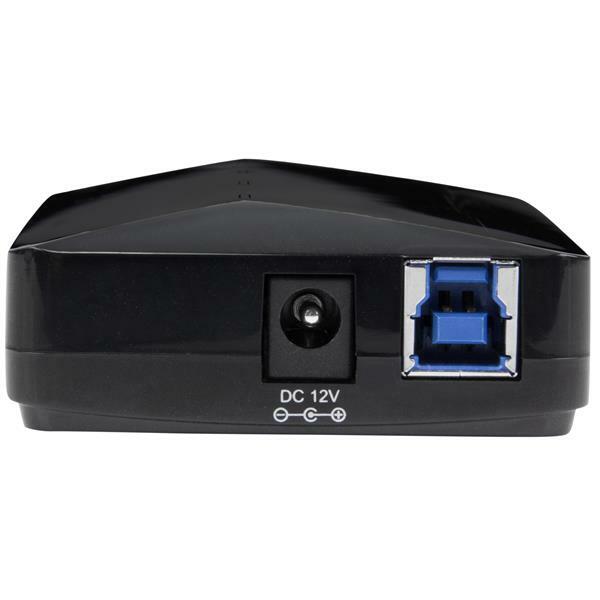 The ST53004U1C is backed by a StarTech.com 2-year warranty and free lifetime technical support. Note: The included power adapter is required to power the dedicated charge port.